Captain America started out as Steve Rogers, a frail but good-hearted young man, eager to fight for justice. Through an experimental super serum, he was transformed into the hero we know today. Frozen in time after World War II and reawakened in the modern day, Captain America has a multi-generational appeal, inspiring Marvel enthusiasts young and old with his devotion to honor and liberty. Fans of any iteration of this patriotic hero will find a variety of Captain America collectibles at Superheroes Direct. 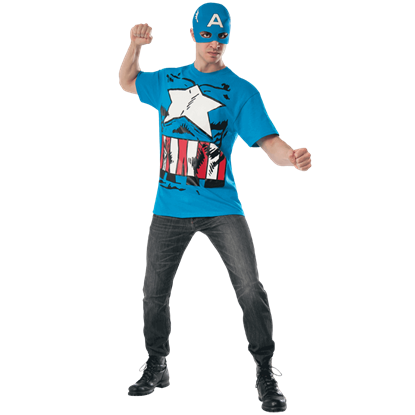 We offer a selection of apparel and collectibles featuring classical depictions of Captain America as well as t-shirts and figures based on his appearance in the Marvel Cinematic Universe. 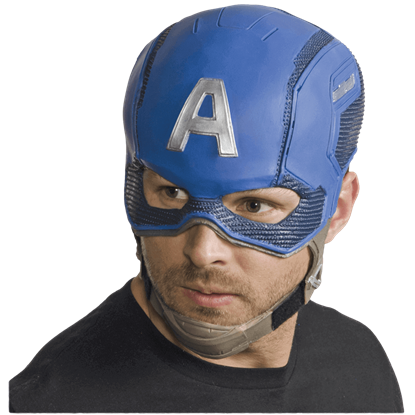 From costumes, hats, and jewelry to statues, POP figures, drinkware, home decor, and more, there is something for every fan of the First Avenger at Superheroes Direct. 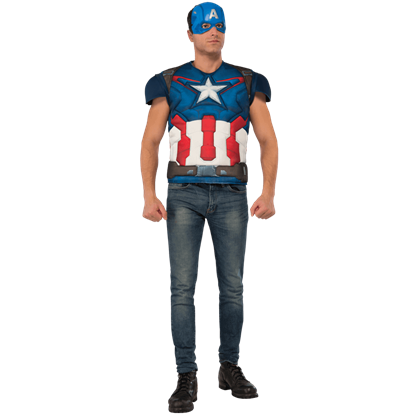 Perfect for celebrating Captain America or his successor, American Dream, this Adult American Dream Costume Top and Mask is sure to put you in a super mood. 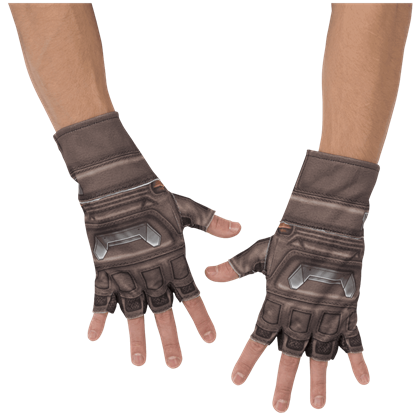 Wear it as a casual Halloween costume or to a superhero movie premiere. Let your star shine bright with this Adult American Dream Rhinestone Top and Mask! 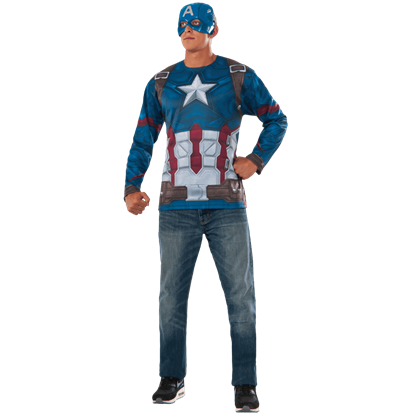 Whether you prefer the first Avenger, Captain America, or his successor, American Dream, this casual costume looks great on Halloween or any day! Whos strong and brave, here to save the American Way? If you cant get enough of the Star Spangled Man with a Plan, then you will love this Adult American Dream Tank Dress. This costume dress is perfect for a superhero event or party. 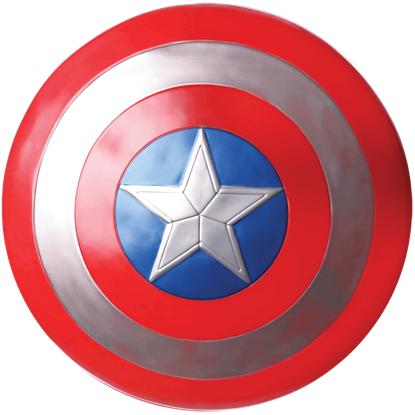 No Captain America costume is complete without the American Avengers iconic shield. 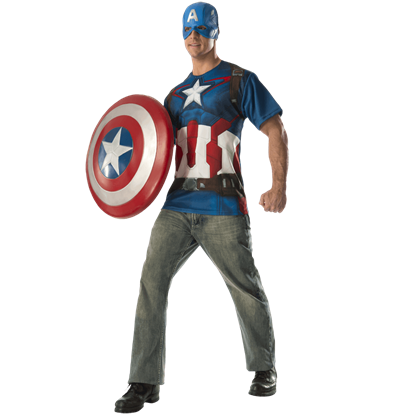 His most trusted asset in battle, you too can now trust the Adult Captain America Costume Shield to serve you well as a licensed costume accessory.